There were heated exchanges at City Hall on Monday evening as it was announced that busking bye-laws would sent out for public consultation, discussed, and debated again. Bye-laws were agreed last May by the council which would regulate busking in the city, following complaints about noise levels and crowding caused by people gathering to watch performances. Under the plan approved, buskers would not have be permitted to use amplification until after 6pm. Young performers, under the age of 16, would have to be accompanied by a parent or guardian. In addition, ‘circle acts’ would not have be allowed to perform on the main thoroughfare until after 6pm. However, director of services at the Galway City Council, Tom Connell, informed the chamber that following legal consultation, the bye-laws had to be shelved after it was found that no commence date was agreed. Many councillors in the chamber responded, airing their frustrations. 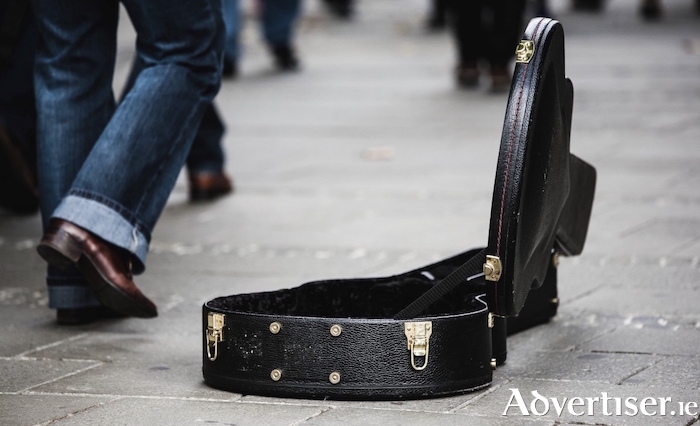 Galway city east councillor Mike Crowe questioned whether if other bye-laws were in doubt as they had followed the same procedure as they had done with the busking bye-laws. Cllr Crowe said; “There is something seriously wrong that we are coming back again. We all regret where we are at. But I have to ask who dropped the ball? Where did it happen? Does this mean our other bye-laws are in doubt as they followed a similar pattern? Mr Connell responded to the councillors’ concerns, apologising for the oversight. “I apologise we have to go back out [and commence the process again]. I have no problem with that. I was under the impression it was all under order. But we got legal advice as is proper before they went out [and the error was spotted].